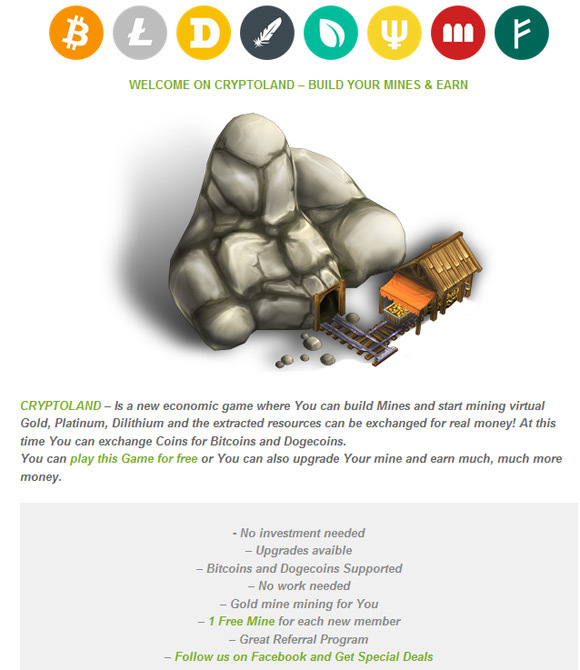 Ore-Mine is a very simple web-based game where you mine ore and can sell it for Bitcoins, the game is absolutely free to get started up and running with a small production capacity and as you advance you can increase your ore production and earnings as well. 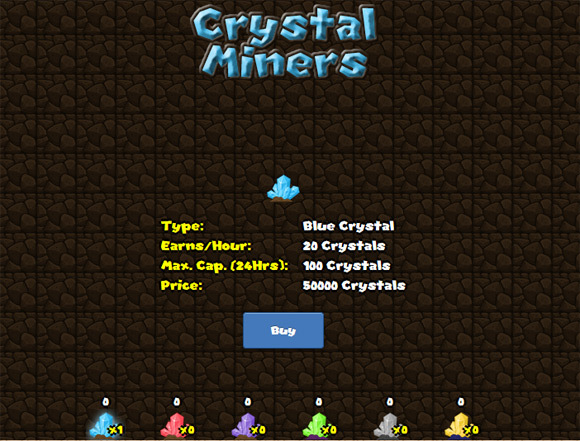 As with most other similar games apart from being able to play for free, you can invest some coins to increase your ore production rate and earn more. Also by inviting friends to try out the game you can also get some bonuses that would allow you to increase in your ore production. 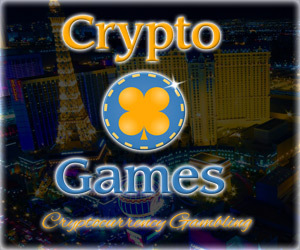 The basic concept of the game is similar as an idea to a Bitcoin faucet where you need to return after a predefined time to collect more coins. 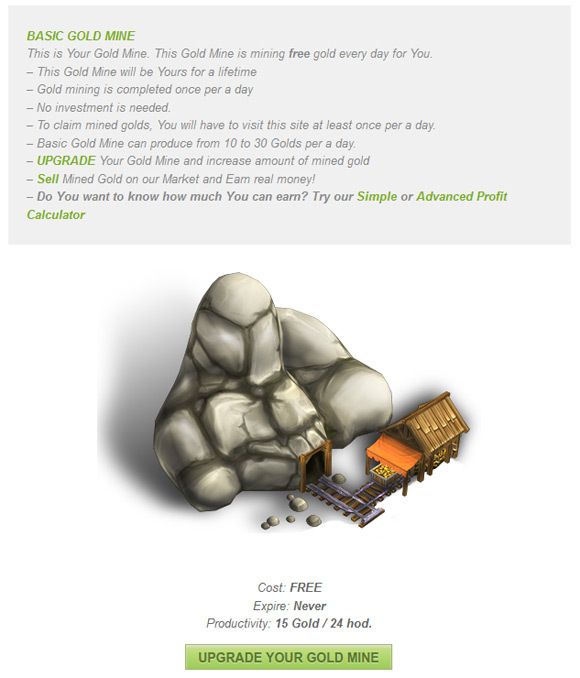 In this game you collect your daily bonus and you can sell your produced Ore every 8 hours, so you can open the game’s website just a few times a day or even just once a day to continue playing it. 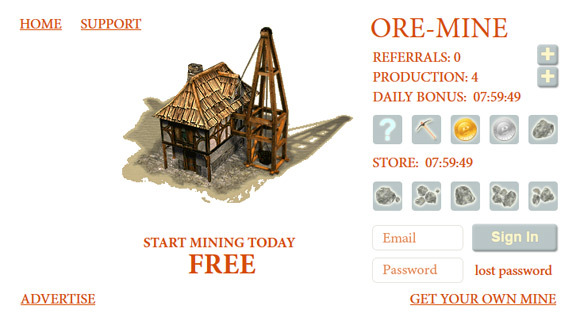 Not much point in visiting it very often as the countdown timers for your ore production and sale time and for the daily bonus are set to 8 hours and you have 5 spaces available to fill, so you mist revisit your mining operation every 8 to 40 hours to sell the production and get extra bonuses. Under the daily bonus timer you can see some squares, if you have a question mark there clicking it will reveal a bonus item that you can pick up by clicking on it. After that you need to wait for another 8 hours for the next bonus item. 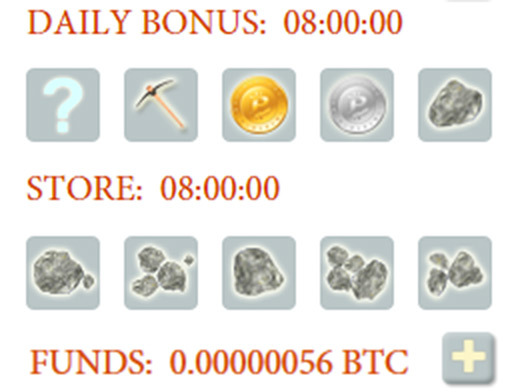 The bonus items include more Ore or a Coin which will add to your BTC balance (variable amount depending on the coin or ore type) or a Pick Axe which will increase your Ore Production. Below that you have the Store timer and the squares that show your production, when you see an Ore there you can click to sell it and increase your Bitcoin balance that is shown right under it. That is pretty all that is to the basic idea of the game. You can of course spend some of your earned coins to increase your production or invest some coins to do that and get a head start in the game. There is also a betting game that you can open up by clicking on Win the Jackpot link that allows you to multiply your coins if you are lucky enough, but you can also lose coins there so be aware of that. 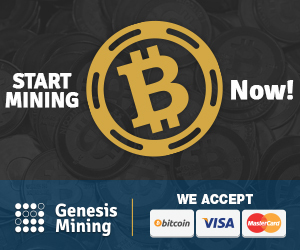 If you want to invest some coins to get a better production you can deposit some BTC or buy some coins with a credit card or PayPal apparently. In order to withdraw your earnings you need to have collected more than 50000 satoshi in your in-game balance.